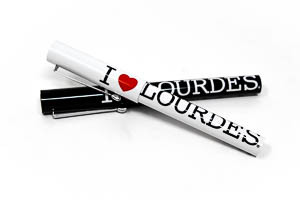 Religious Gifts from your Lourdes shop, offers you a large selection of Lourdes Souvenirs and memorabilia. 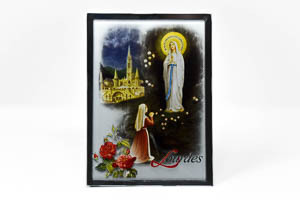 All depicting the apparitions, gifts include Lourdes engraved ornaments, pill boxes and Lourdes silver magnets buy with confidence from your Lourdes religious shop. 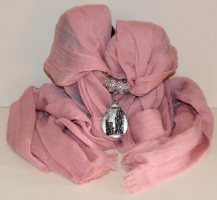 Religious Gifts from your Lourdes shop. 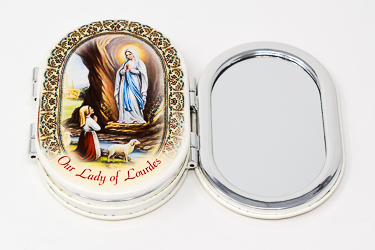 Round Lourdes Apparition Pill Box. Pill Box Depicting the Apparition. 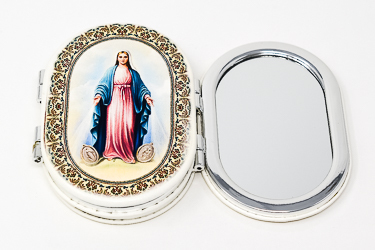 Round Saint Bernadette Pill Box. Mobile Phone Charm - Tau Cross. 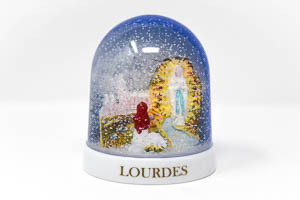 Our Lady of Lourdes Frosted Mirror Ornament. Free Standing Ornament for a Child Depicting Jesus. 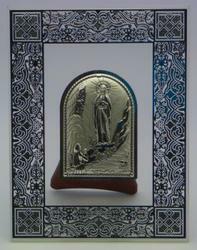 Lourdes Apparition Sterling Silver Mounted Picture. Small Rosary Box or Lourdes Pill Box. 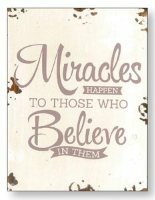 Miracles Happen to Those who Believe - Distressed Wood. Wall Art Deco Faith, Hope & Love. Our Lady of Lourdes & Bernadette Beautiful Ornament. Small Our Lady of Lourdes Wooden Ornament. 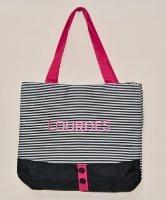 Lourdes Shopping Bag with Stripes and Buttons. 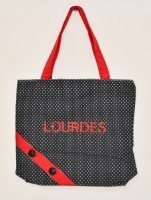 Lourdes Shopping Bag with Spots and Buttons. White Shopping Bag with a Image of the Lourdes Sanctuary. 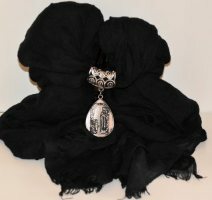 Black Shopping Bag with a Image of the Lourdes Sanctuary. Lourdes Pink Bag with Bow. 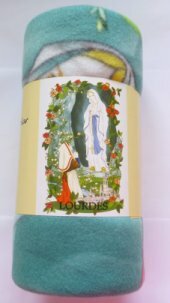 Our Lady of Lourdes Statue 9 cm. 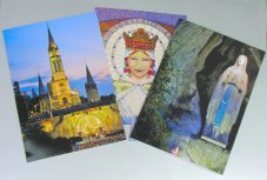 12 Top Quality Colour Lourdes Cards and Envelopes. 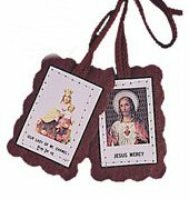 Our Lady of Mount Carmel and the Sacred Heart of Jesus Brown Scapular. 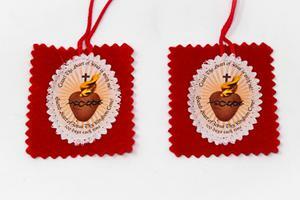 Brown Scapular Our Lady of Mount Carmel and the Sacred Heart of Jesus. 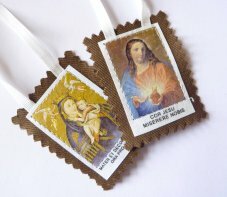 Green Scapular & Leaflet Among Mary's Gifts.